Weed Girls Magazine saw the light in December 2018 when the first edition was officially launched, but the idea of making it came earlier, back in 2014 when Weed Girls project was born. We started distributing 1,000 copies of Weed Girls Magazine and this is just the start. 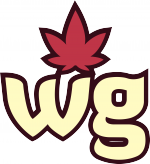 Weed Girls Magazine was created with the idea of having a presence out of the screens of our laptops, tablets, and smartphones, in places where people could actually interact with our product. What better place than Grow Shops and Cannabis Clubs? Especially if they are located in one of the cities where cannabis is as popular as morning coffee: beautiful Barcelona. We wanted to offer something different to cannabis lovers and included in our magazine not only pictures of our Weed Girls, but also very interesting articles like “The 5 best new cities to smoke marijuana worldwide” and exclusive interviews with artists like Akapellah and Pinche Mara. We have also included collaborations with brands like Moonrock. Cannabis lovers, either men or women, can enjoy Weed Girls Magazine as much as they enjoy a good joint. You can find Weed Girls Magazine in 40 Grow Shops in Barcelona center area such as City. Currently, Weed Girls magazine reaches more than 15,000 people each month, which means that almost 45,000 people will see each issue. The first edition was a great success among cannabis enthusiasts, now with the second edition, we bring many more international collaborations that promise to do this, the favorite magazine of weed lovers and girls. Are you ready?